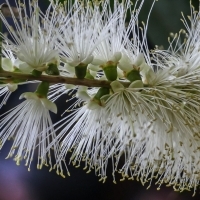 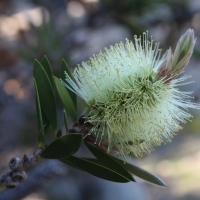 This small tree has attractive narrow foliage and white papery bark. 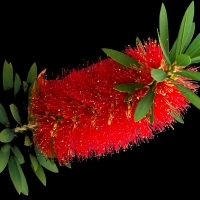 The flower-spikes are generally white or greenish but pink, red and mauve forms can be found. 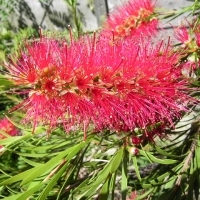 An excellent garden and street tree. 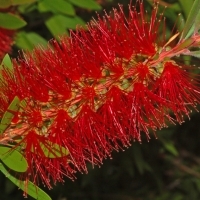 Beautiful little bottlebrush with masses of striking gold-tipped tangerine orange flowers. 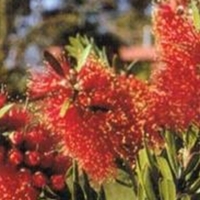 Grows to 2m high x 1.5m wide, great for low maintenance native hedges and wildlife gardens. 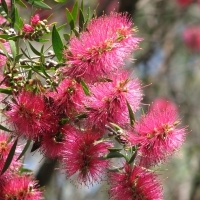 Medium bushy shrub 3 metres with soft pink new growth. 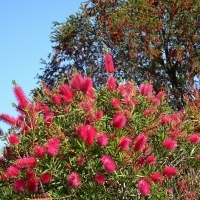 The flowers are pink/mauve bottlebrush late spring. 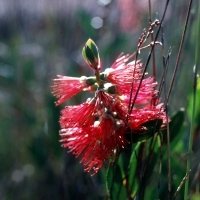 Hardy and adaptable to most conditions in full sun. 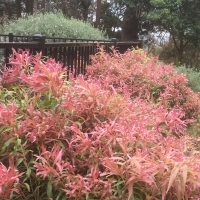 Pruning maintains shape and encourages flowering. 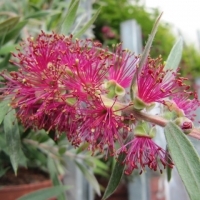 An attractive fast growing plant suitable as a small hedge, mounding groundcover, or as a container plant. 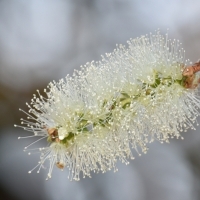 A low, spreading shrub with pure white flower spikes in spring. 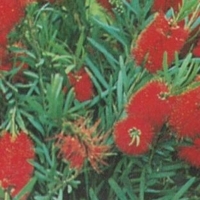 Hardy and vigorous plant adaptable to a wide range of conditions. 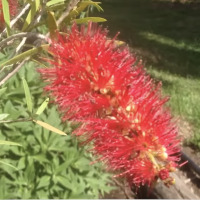 Prefers full sun but will tolerate light shade. 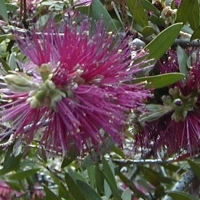 The leaves of the mauve mist have new pink tip growth that is densely covered with silky hairs. 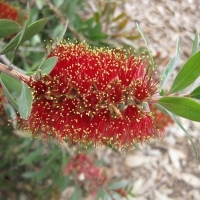 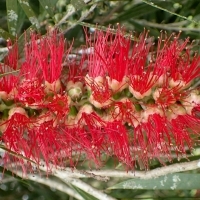 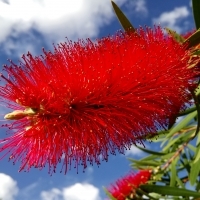 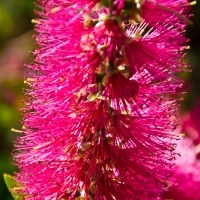 The flowers are produced in dense bottlebrush; clusters that are often produced in pinkish mauve bunches. 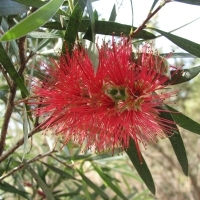 Will flower as late as Christmas.